Bread is the one thing that goes perfectly with any meal. Whether it be Italian or a bowl of scrambled eggs, you can use these 15 best homemade bread options for mostly anything. However, choosing the right kind of bread is sometimes a hassle(especially for those that don’t make bread very often). Disclaimer: This post is not for the gluten free minded or those with sensitivities. There may be 1 or 2 breads on this list that can qualify as gluten-free, however specific gluten-free foods can be located on another page on our blog. How do you pick the right bread? We all know the dinner roll goes with the Italian plate of pasta and the loaf of bread can be used to make sandwiches. But what about the pretzel bread? Or the Homemade Challah bread? Let’s be honest, you can fit these delicious breads into any meal of your choosing, or even just eat them as a snack. No matter the bread you pick to make, you will enjoy it with a meal, a sandwich or as a snack. We’ve got the best breads for you all here on this list below. We’ve separated the bread into 2 categories: rolls and traditional bread. This way, whenever you have any meal you are looking to make and need a side or even just need to make a simple, delicious sandwich bread, all your go-to rolls and traditional bread recipes will be gathered in one location and it’ll be so much easier to pick one to make! All the recipes listed below are amazing recipes that are worth trying and coming back to. 1 Whole Grain Vegan Spelt Rolls. Yummy, healthy option of a bread roll with spelt flour and oil. No butter in this one. Simple bread, homemade and great for replacing the traditional dinner roll! Try it out! One of my favorite go-to bread roll recipes is the french bread rolls. I love to use the bread machine to make sure they turn out perfect every time. Once I place all ingredients into the bread machine and the dough is made perfectly, I let it rise, and then punch it down. I then create balls of dough and let those rise on pyrex pans until doubled in size. After this, I bake in the oven for the set amount of time. Now, if you don’t have a bread machine, you can still make them, but they may not turn out as perfectly, i’m just being honest. there is definitely a difference between bread machine rolls verses kneading the dough out yourself. One reason this is my go-to recipe is because these are rolls without the use of butter. 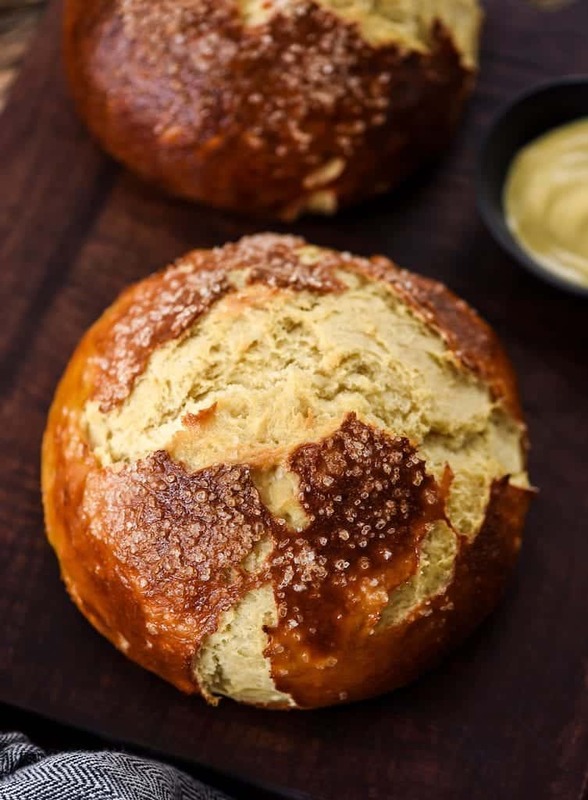 So if you’re looking for a “healthier” bread roll option that does not include butter, yet still so yummy, then try out this french bread roll recipe and check it out for pictures as well. 3 Whole Wheat Garlic Knots. Satisfying garlic knots that are homemade and can be used as the “roll” in the meal. Fun to make with kids and very tasty! Try them out! 4. The Best Homemade Dinner Rolls. The delicious buttery tasting, egg included option for dinner rolls. These are just exceptional as you can probably tell from the image pictured below. You won’t regret making these for a group and they will love you for it! These go perfectly with multiple meals, such as Italian dishes and shredded meat sandwiches. You pick the meal, we’ve got the yummy side recipe for ya! Yum! Try them out! Classic dinner rolls with a healthy twist: oatmeal! Simple, yummy roll recipe with butter and eggs, yet the Oatmeal added will impress. You will love this fluffy, dinner roll option. Try them out! 6 Garlic Cheddar Dinner Rolls. Love the garlic flavor in your food? Then here’s the bread roll for ya! Fresh garlic is actually used in the recipe, as well as shredded cheddar cheese. If you’re wanting to try something new and exciting with flavor, you’ll want to try this one out. And don’t forget it’s homemade! One hundred times better than store-bought bread! Try them out! 7 Pandesal recipe(Filipino Bread Rolls). Simple ingredients, with added bread crumbs sprinkled at the very end. Exotic recipe and beautiful, yummy result! Try it out today! 8 Zaatar and Parmesan Cheese Bread Rolls. A twist made to the classic cinnamon roll look. A mediterranean cuisine that even includes healthy flaxseeds! You’ll want to try this one out and impress. 9 White Truffle Brazilian Cheese Bread. It’s Brazilian- with asiago cheese and tapioca flour, among other ingredients. It can be used to replace the side of rolls in a meal- it’s a unique recipe. Try it out today! 1 Amazing Honey Wheat Bread. No added sugars used in this recipe but it does include vital wheat gluten. Yummy, healthy bread option for sandwiches. Perfect for school lunch boxes or at home lunches! Try it out today! 2 Whole Wheat Sunflower Seed Bread-Quick and Easy. Whole wheat option for bread. Again, great for sandwiches. Also great for soups and snacking. Yummy, healthy and foolproof! Try it out today! 3 Traditional Slow Rise Sourdough Challah. The Jewish bread that everybody loves, although you don’t need to be Jewish to enjoy this yummy bread option! No added sugars included and a healthy whole wheat option to enjoy! The dough is braided, making it a fun alternative for bread making! Try it out today! 4 Olive Oil and Rosemary No Knead Bread. It’s easy as it;s a no-knead option on our list of breads. It includes the herb, rosemary-the perfect compliment to this no knead bread recipe. As it says in the name, no butter is used, just olive oil- a healthier replacement. Try it out! Oats and flax included in this bread recipe option. A wonderful replacement for plain white bread and it can be used when making french toast, in addition to yummy sandwiches. Try it out today! Like these bread recipes so far? One more yummy recipe down below! Don’t forget to follow and subscribe with us for more delicious favorites! …Finally, our last bread option is a classic and a favorite for all! The taste of a pretzel but a whole lot fluffier than a pretzel. Baked to perfection and with an appealing look. This bread is sure to become one of your favorites! Try it out! Great! Let me know how you like the recipes! I completely agree! Thanks for participating!